There’s an information briefing scheduled for today, Wednesday, 21 March 2018, in conference room F, by the UN participant representatives/members of the UN Staff Pension Committee. A major question for the briefing is what remedial measures have been taken as called for by General Assembly resolution 72/262 to address serious problems in the Fund. The UN internal governance audit of the Pension Board, called for by the Assembly, is currently being conducted by the UN Office of Internal Oversight Services (OIOS). Prospects for meaningful improvements in Fund management are slim without Pension Board reform and radical changes in its membership with a focus on professionalism, transparency, and accountability to optimize its oversight function. In the meantime, there’s a management vacuum in the Fund Secretariat, and the leadership of the UN retiree organization (FAFICS) continues its state of denial, as confirmed by a letter from the outgoing president of AFICS Australia dated 20 February 2018 addressed to members (link below). On the investment side, time will tell how the Secretary-General through his Representative for Investments addresses chronic investment underperformance and risks in foreign exchange losses with the potential to threaten the long-term sustainability of the Fund, as mentioned in the Assembly's resolution. d) mismanagement of contracts and procurement detailed by OIOS audit 2017/110? e) establishing a client grievance redressal system. Status updates on these issues are nowhere to be found in the newsletters, updates, or on the websites of the Fund or the UN retiree organization, FAFICS, none of which make any mention whatsoever of UN internal audits of these issues. Although the silence on the issue is deafening, the sad reality is that the payment backlog continues and thousands of long-suffering survivors and new retirees remain to be paid. Recall OIOS audit 2017/104 which found that flawed managerial decisions behind the payment backlog caused beneficiaries (survivors and new retirees) to wait for months and some for more than a year to receive payment. Moreover, weaknesses in the IT system have increased manual processing; the system and its infrastructure may be susceptible to security breaches; and a majority of top-priority benefit types (survivor, disability and reinstatement benefits) were not included in testing. As a consequence of these persistent problems, the audit noted, the monthly average of processed cases is barely over the average for the old system, despite a $1.3 million task force set up to defray the backlog in pension payments. Recall also that Board of Auditors report A/72/5/Add.16 noted that the latest actuarial valuation was unable to be completed because of inaccurate data provided by the Fund Secretariat. Although not mentioned by the BOA, it is reported that some $285,000 was paid by the Fund to the consultants who were unable to complete the work. The current audit of the governance of the Pension Board, including checks and balances between the Board and the Fund management, must also address issues of composition and imbalance in representation which has exacerbated the Board’s split into UN and non-UN groupings, evidenced in its oversight failures. FAFICS (the Federation of Associations of Former International Civil Servants) sits on the Pension Board (four members and two alternates, without voting rights but with the ability to speak) where it wields considerable influence as representatives of almost 80,000 UN retirees world-wide, almost one-third of the entire UNJSPF membership. In a recent “update” to retiree associations world-wide, the FAFICS president stated that the payment backlog was “largely a thing of the past” and that her “considered opinion” was that implementation of the IT system was “largely successful”. Recently, the FAFICS president took the unusual step of trying to pre-empt a letter to the UN Office of Internal Oversight Services, signed by 297 retirees, requesting OIOS to consider, in conducting its governance audit called for by the Assembly, issues of legitimacy in FAFICS representation, by writing her own letter disparaging retirees and dismissing the concerns expressed in the letter. The AFICS Australia president’s letter dated 20 February 2018 appears to recognize that its retiree membership is ill-served by the FAFICS leadership and concludes as follows "The FAFICS leadership should be strongly reminded by its members that its task is to protect, defend and advance the rights of all UN retirees, not those of the CEO, no matter how nice a fellow he is personally" (See link below for the full text of the letter). The General Assembly and the Advisory Committee on Administrative and Budgetary Questions (ACABQ), the Board of Auditors, and OIOS, have done laudable work in detailing the issues on both sides of the Fund, and calling for necessary action to address them, including the current OIOS governance audit. The UN staff unions and UN participant representatives have worked tirelessly and courageously in the interest of Fund members and in the face of intimidation by the Board and Fund leadership. For his part, the Secretary-General has taken action to put things right by appointing a new Representative for Investments, and opting for a three-year instead of five-year contract for the Chief Executive Officer, with continuation of his contract subject to a performance review this summer. 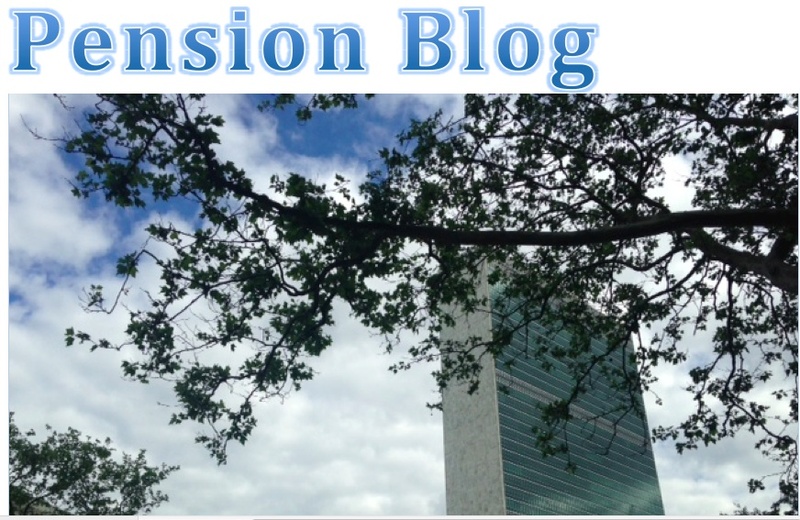 Which brings us full circle to the question of what, if anything, one can reasonably expect concerning the issues to be addressed by the Pension Board (which includes the leadership of the UN retiree representative organization) and the Fund management, given their current performance deficits. In short, it’s clear that there’s much work left to be done and problems to be overcome. It’s also clear that nothing short of recommendations by the Office of Internal Oversight Services, and implementation by the Assembly and the Secretary-General, of radical changes to address deficiencies in the Board, with a focus on professionalism, transparency, and accountability, will produce the necessary changes in Fund management to ensure the continued health of our Fund.